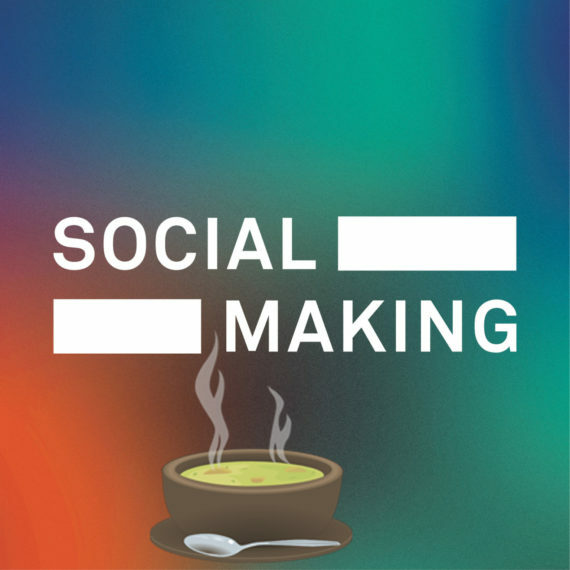 The Social Making (optional) symposium dinner will take the format of a SOUP event, also held at Devonport Guildhall. SOUP is a powerful tool to start conversations, practice democracy and fund new projects, people, and ideas. Social Making SOUP, supported by our partners The Box and Visual Arts Plymouth, is a micro granting dinner based on the hugely successful SOUP model – it’s about bringing people together, having fun, and supporting social practice arts projects. £10 gets you soup, salad, bread and a vote. £5 goes towards supporting the Real Junk Food Project Plymouth, a social enterprise who use intercepted food that would be otherwise thrown away from supermarkets, to create low cost, delicious food for everyone, while cutting down on food waste. £5 goes towards a funding pot, to help South West based creative practitioners realise new socially engaged art projects. At the SOUP dinner there will be six presentations on different potential projects. Audience members can ask presenters questions after their presentation. After the presentations, audience members are encouraged to discuss and debate before voting. Audience members then vote on what project they think will benefit most from the funding. Whichever presenters get the most votes win the funding to get their idea off the ground! We are able, with the support of The Box and Visual Arts Plymouth, to support two artists to activate projects that will debut at this year’s Plymouth Art Weekender (28th-30th September). if your project is selected for this funding by the SOUP audience, you will need to submit a description to the PAW listings site by 10th June. Please note that this does not to be a consolidated finished work, this could be the beginning of a longer term project with a community(s) of Plymouth. In addition, in memory of Michael Bridgewater; Take A Part’s founding father, we are offering one artist working in socially-engaged practice the opportunity to make work centred in Efford, funded through the Michael Bridgewater Memorial Fund for Efford. The time constraints for the Plymouth Art Weekender do not apply for this commission. If you are interested in presenting at the soup, e-mail [email protected] with a CV and short paragraph describing your project, by April 30th. With thanks to the Box, Visual Arts Plymouth, and the funders of the Michael Bridgewater Memorial Fund for Efford. Social Making: Socially Engaged Practice Now and Next is the second biennial symposium developed and delivered by Take A Part CIC. The aim of the symposium is to bring examples of international socially engaged practices to the South West of the UK, giving the region exposure to a wider network of projects and organisations, and an opportunity to consider a range of methods and their impact. This provides support and learning for artists, curators, arts organisations, councillors, commissioners, producers, students and academics, ensuring that the region continues to produce and support high-quality, risk-taking and ambitious public arts programmes. It is also about sharing socially engaged practices in Plymouth and the city’s ambitions outwards, as innovators and risk-takers and as a centre from which projects are tested and grown. The 2018 symposium will consider social practice and its engagement with identity(s); how art can help communities and audiences reconsider their understandings of, and positions on sexuality, gender, racial, economic, political, social, bodily, historical and geographic identities. We will be exploring how social practice can help us reconsider the notion of community itself. This year we’ll be showcasing the work of cross-disciplinary practitioners; from visual artists, to theatre-makers, to poets. The symposium is delivered by Take a Part CIC thanks to support from Plymouth Culture and Arts Council England. Take A Part works to unleash the creative potential of people. 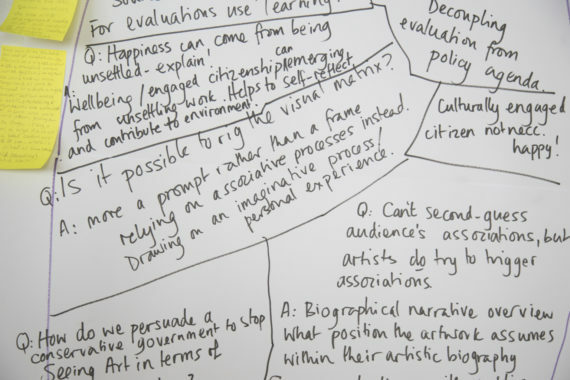 We are a socially engaged contemporary art organisation that works with communities to co-commission and co-create contemporary art in order to: risk-take, provoke and engage communities to establish and respond to, as well as set, local agenda and need. Don’t miss the early bird tickets available until 30th March!